Toronto added more technology jobs than any other North American city last year and now ranks among the continent’s top five tech talent markets, according to a leading commercial real estate company. Los Angeles-based CBRE this week said Toronto added more than 82,000 new tech jobs between 2012 and 2017, with nearly 29,000 of those positions being added in 2017 alone. “Last year we created more tech-related jobs than San Francisco, Seattle and Washington combined,” Paul Morassutti, the executive managing director at CBRE Canada, said during an interview on BNN Bloomberg. CBRE ranked Toronto fourth overall in its annual ranking of 50 U.S. and Canadian tech talent markets, one spot ahead of New York. The rankings take into account 13 different metrics, including the supply of tech talent, the number of people who have completed tech-related degrees and the market outlook for both apartment and office rent growth. It’s the first time a Canadian city has ranked among CBRE’s top five. Toronto’s surge in tech jobs comes as the city is drawing global interest for its prowess in emerging fields like regenerative medicine and artificial intelligence – both areas where the University of Toronto and its researchers are playing a key role. The climb up CBRE’s ranking also comes amid a broader push by U of T, the city and other partners, including the MaRS Discovery District, to develop the necessary commercialization infrastructure to translate research breakthroughs into novel products and services with the potential to make a huge social and economic impact. U of T, for example, is a key partner in the Vector Institute for Artificial Intelligence and the Centre for Commercialization of Regenerative Medicine. It's also home to several startup accelerators that specialize in incubating and scaling health-care and AI-powered companies. And, just this week, U of T announced plans to build a new, 14-storey innovation centre at the corner of College Street and University Avenue that will devote half of its 250,000 square feet of floor space to startup companies and established corporate partners who want to be closer to U of T’s cutting-edge research. Local tech companies are also benefiting from Canada’s more open immigration policies at a time when the U.S. is moving in the other direction. At the same time, a large number of foreign tech firms – from Alphabet to Uber – are opening or expanding research labs and other operations in the city. 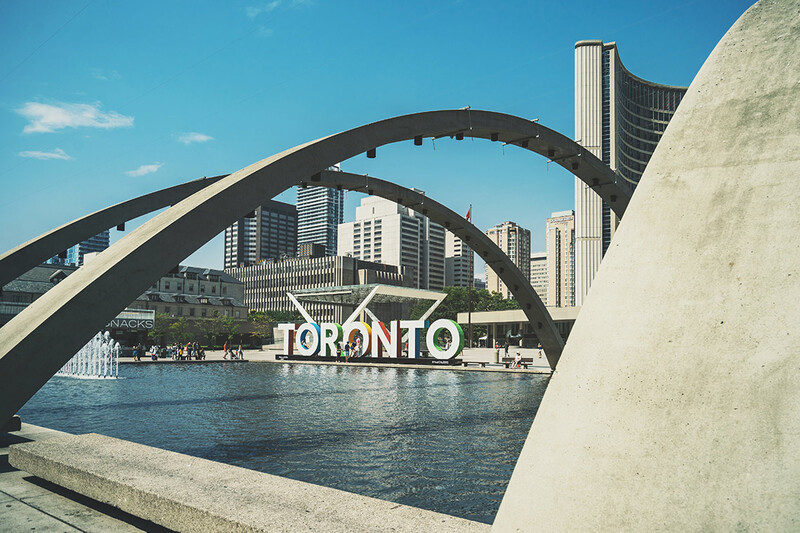 CBRE said Toronto is now leading all other North American cities when it comes to attracting more tech workers than it’s graduating through its universities – evidence of a so-called “brain gain” phenomenon in action. “The University of Toronto continues to be a leader in education and talent across numerous fields, including the tech sector,” said Derek Newton, U of T’s assistant vice-president of innovation, partnerships and entrepreneurship.